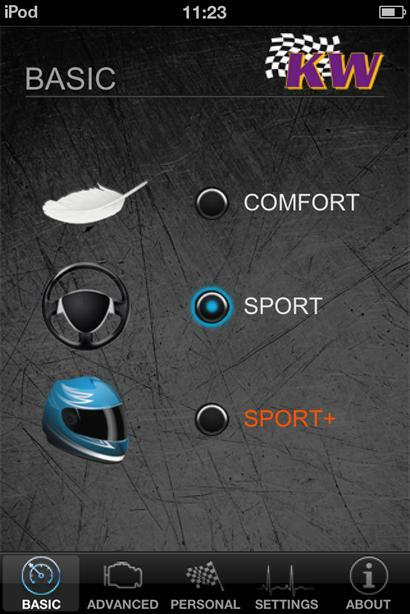 The driver can choose between 3 modes: “Comfort” for bad road conditions or just a relax ride, “Normal” for sporty daily use as the best compromise between performance and ride comfort or “Sport” for best handling and response. 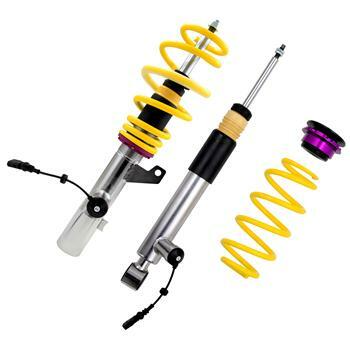 The lowering can be adjusted in between the TÜV certificated adjusting range. The stainless steel technology “inox-line” guarantees that all parts remain movable, even under heavy use and salty winter time.